A woman walks past a Metro grocery store in Toronto. Customers of Metro Inc. should prepare themselves for higher prices as the Canadian grocery giant says it is facing pressure from suppliers to accept higher prices in light of the ongoing tariff dispute with the United States, its CEO said Wednesday. “We’re starting to get demands from some suppliers who are, whose products will be, affected by the new tariffs,” Eric La Fleche said during a conference call with analysts Wednesday after the company released its third-quarter earnings report. The Canadian government implemented tariffs on Canada Day on a number of American-made goods, including yogurt, orange juice and maple syrup, in retaliation for U.S.-government imposed tariffs on Canadian steel and aluminum products, which are also putting pressure on some Canadian food manufacturers. The company is currently reviewing suppliers demands and negotiating prices, La Fleche said. “If it’s legitimate and if it’s industry-wide, sometimes we won’t have a choice and we will have to accept,” he said, adding the company has already agreed to some minor cost increases. 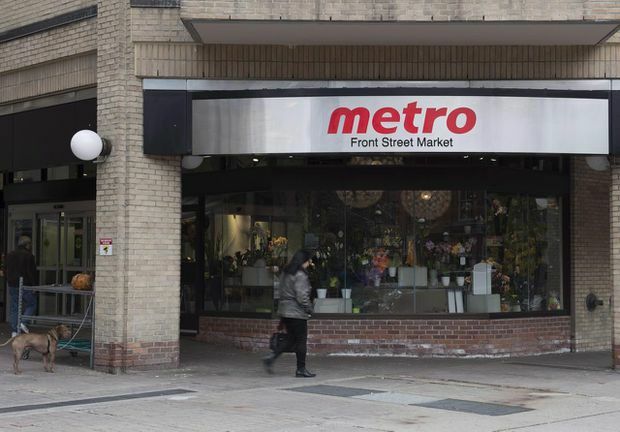 Metro will continue to ensure its retail prices are competitive, he said, but expects the company, as well as the market as a whole, will have to accept some cost increases. Ontario’s new minimum wage, which rose to $14 at the start of the year, is adding extra pressure on prices. Empire Co. Ltd., which operates subsidiary Sobeys Inc., predicted a similar outlook in late June, when the company reported its latest quarterly earnings. Sobeys CEO Michael Medline said at the time that the pending tariffs could result in higher grocery store prices, though he said the company would try to resist accepting suppliers’ cost increases. A number of companies whose products use cans, including the Campbell Company of Canada and Molson Coors Brewing Company, have said that the 10 per cent tariffs the U.S. has slapped on aluminum imports have forced them to consider price increases. The CEO also said Metro, which operates more than 650 drug stores and pharmacies under banners including Jean Coutu and Brunet, would be interested in selling medicinal cannabis. As far as the company knows, pharmacies are not permitted to sell cannabis for now, he said. Current Health Canada regulations stipulate that the only legal way to distribute medical marijuana is through online orders shipped through the mail, but the agency has suggested options to control the sale of marijuana could include pharmacy distribution. Health Canada says it plans to evaluate the medical access framework in the five years after the Cannabis Act comes into force. “If that is authorized, we expect that we will participate in that,” he said. Some other companies operating pharmacies seem optimistic they’ll be allowed to do so and have signed agreements with licensed marijuana producers. Shoppers Drug Mart signed supply deals with Tilray, MedReleaf, Aphria and Aurora Cannabis, subject to Health Canada’s approval of its application to dispense medical marijuana. Other agreements have been made between Pharmasave and Tilray Canada, Pharma Choice and CanniMed Therapeutics, and Lovell Drugs Ltd. and Maricann Group Inc.
La Fleche’s comments came as Metro reported it earned lower-than-expected earnings in its latest quarter. The company earned $167.5 million, or 69 cents per share, in the third quarter ended July 7, as it completed its acquisition of the Jean Coutu Group on May 11, falling from compared with a profit of $183 million or 78 cents per diluted share a year ago. On an adjusted basis, which excluded acquisition-related costs, Metro earned 75 cents per diluted share for the quarter, up from 70 cents per diluted share in the same period last year. However, the results fell short of analysts’ expectations for adjusted earnings of 78 cents per share, according to Thomson Reuters Eikon. Revenue for what was the company’s third quarter of its financial year totalled $4.64 billion, up from $4.07 billion a year ago, boosted by the Jean Coutu acquisition. Excluding Jean Coutu, Metro says sales would have been up 2.4 per cent for the quarter.